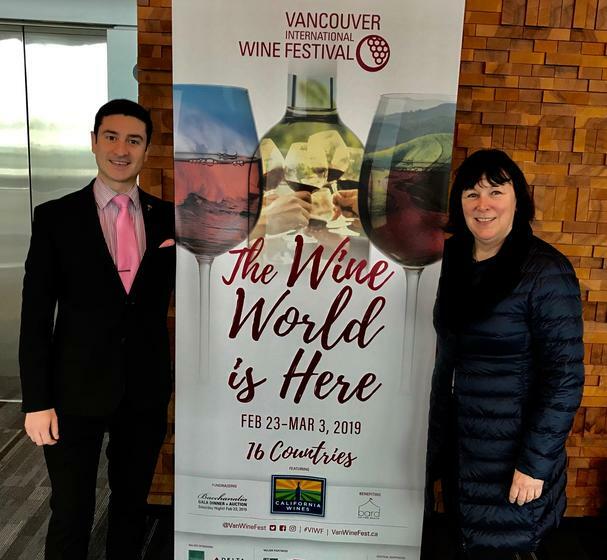 On the first day of the Vancouver International Wine Festival, our primary focus was on California wines and today it's wines from around the world. The first stop was the talk on Canada’s Place in Key Wine Markets. Who is the Godmother of British Columbia Wine? Well, Christine Coletta of Okanagan Crush Pad Winery is the lady who inspired that name for me. In 1990 Christine was the founding Executive Director of BCWI (BC Wine Institute.) One of their first efforts was creating the Vintners Quality Alliance (VQA) for British Columbia, a regulatory and appellation system recognizing the quality and authenticity of wines. BCWI also focuses on marketing and branding BC wines with an international focus. Did Christine stop there? No! She made the bold move of starting Switchback Organic Vineyard in Summerland, BC (249 miles/401 km east of Vancouver). They chose the name Switchback because they went from growing apples to wine grapes. This site, like many of her sites, is now Certified Organic. Christine’s Okanagan Crush Pad is unique, as it enables several smaller winemakers to utilize the crush pad. However, Christine and co-owner Steve are the primary users and make three major wines under the tutelage of Chief Winemaker Matt Dumayne: Free Form, Haywire, and Narrative. The highlight was tasting their newest wine label, Free Form. I enjoyed the Vin Gris, which is very light rose’ made from pinot noir with minimal contact with the grape skin. I liked the light tropical fruits. Of course, this is a certified organic wine. I have had the pleasure of writing and visiting the wineries in Canada since 2005, so it was great seeing the strides Canada has made on the international market. The next stop featured an exciting contrast from other talks: Grapes Unknown. This was a real education about the different and esoteric varietals and wines off the beaten path. One of the winners for me is the Croatian wine, Crljenak Kaštelanski from Krolo Winery. This Zinfandel is grown in the Dalmatia region, which is on the east shore of the Adriatic Sea. The long growing season with coastal breezes taking the edge off the heat helps create this very delightful Zin. Next in this international lineup was the Reserva Tannat from Bodega Garzon in Uruguay. This wine features a deep purple color and plum nose. The grape origins are from Madiran, a small village in Southwest France. Although it has a full body taste, it is not overpowering in tannins. I later found out this grape is considered one of the healthiest red gapes with higher levels of antioxidants like resveratrol. My wife made sure that I stopped at the Festival Wine Shop next to the tasting room to pick up a bottle for home. Dracula was the first thing that came to my mind when I saw the next tasting wine; Liliac- The Wine of Transylvania (Romania). I enjoyed their Liliac Fetească Neagră red wine. The Fetească Neagră varietal is a dark-skinned grape and is mostly planted in Romania. The spicy notes and light tannin taste were highlights. With climate change impacting many wine regions, this thick-skinned wine grape is a blessing, being resistant to the extremes of cold weather and drought. The last unknown grape I will discuss is from Lodi, California. Michael David Winery, just north of Napa, California, features the Ancient Vine Cinsault grape. With the summers continuing to get warmer and drier in Lodi, this is a perfect grape and can be dry farmed, which refers to a practice of relying only on natural annual rainfall for growing grapes. This grape has its origins in the warm regions of southern France and Algeria. The wine has low tannin levels, and a light cherry nose, so straightforward to drink. The David family has been farming in Lodi since 1850 and brothers Michael and David are 5th generation farmers with some of the vines 134 years old. The last event I attended was the tasting room. I never did get to taste all of the 160 wineries that were being poured, but I was proud of myself for visiting the Tasting Stations of the 16 countries represented. Two hours to sample 160 wineries? Good problem! First stop was Cono Sur, Chile. I sampled their Single Vineyard Pinot Noir, Valle de San Antonio. The location near the coast with the ocean breezes, long hours of sunlight, and dry conditions brings a bright red color and well-structured wine. Their wines come from seven different valleys (there are 14 wine valleys in Chile) all with diverse topography and climate. Diverse climate and diverse topography, is what defines Chile. Take Valle de San Antonio. Much of the region is about 20 miles (32 km) east of the Pacific Ocean, with its cool temperatures, wide diurnal swings and also the cooling effects of the Humboldt Current. The long growing season creates grapes that have a terrific balance of sugars and acids. 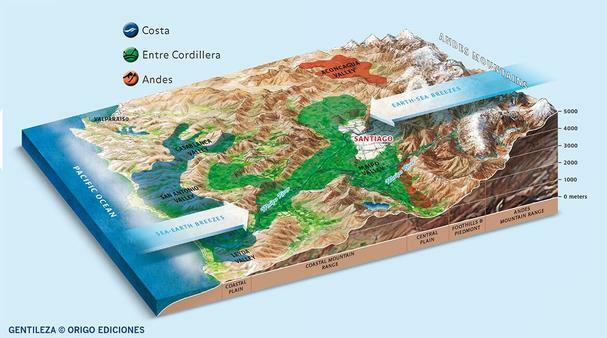 Further east of the ocean is the Chilean Coastal Range, and then you go the valley just east of this range, and you find many of the wine growing areas. What more mountains? Just continue further east, and you will see the Sierra de Ramon and finally the tallest mountain range, the Andes. By the way, Ojos del Salado (22,615 ft.) is the highest peak in Chile, with Aconcagua, in Argentina (22,841 feet-6962 meters) being the tallest peak in the Andes and, in fact, all of South America. Take this complex terrain, cold ocean current, and dry valley, and you get one of the driest places on earth. The Atacama Desert is not a wine region since it gets less than .04 inches (1 mm) annually, and some areas there get no rain at all during the year. The geography and climate make this a fascinating area. Perhaps a visit there will be forthcoming. Since Canada is hosting the event, it was time to stop at the regional tasting station for Nova Scotia. This region can undoubtedly be a testimony for our warming climate pattern. One of the difficulties in the past for growing wine there was the harsh winters, which would often kill the vines. However, recent climate data from 1920 to the present shows a strong warming trend for the winters. 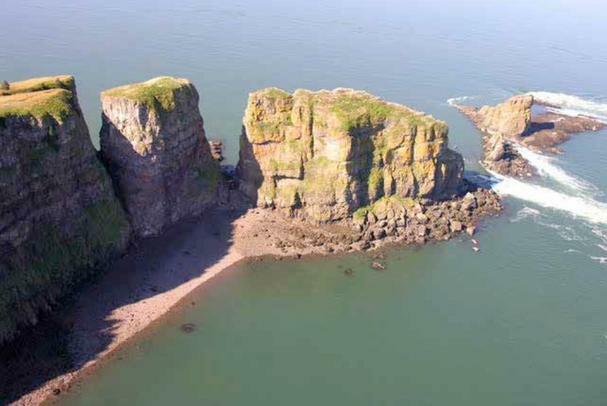 How about the picturesque Bay of Fundy and the impact of climate? The Bay is on the west side of Nova Scotia and borders Newfoundland to the east. In the summer the waters are close to 50 F (10C) which provides some cooling, and in the winter the temperatures are close to freezing, so this helps to moderate the winter temperatures. In the cooler summer climate, grapes do not ripen that quickly, so we get lower sugars and higher acid levels. This type of summer weather is precisely what is needed to showcase the wine made here, sparkling wine. Benjamin Bridge is the best known and uses the Méthode Classique. They use the varietals that are also very common in the Champaign Region of France; Chardonnay, Pinot Noir and the somewhat less known Pinot Meunier. Pinot Meunier is very good in colder climates with a later bud break than Chardonnay. One last shift for the tasting room? Yes, the New Zealand tasting station. Sauvignon Blanc! New Zealand does not rank high in total worldwide wine production, but many sommeliers say they rank number one for Sauvignon Blanc, most of which is grown in the Marlborough Region, located at the northeast part of the south island. I had a nice visit with Eugene Mlynczyk, Master of Wine as he was showcasing Kim Crawford Wines. I sampled the Sauvignon Blanc, of course, and I liked the light citrus notes. I also much enjoyed the Pinot Gris. While sipping, Eugene and I talked about weather and vintages. He said, and everyone concurs, that 2013 was the Vintage of a Lifetime. We discussed what weather conditions prevailed, and we decided it was the long cool growing season with low humidity that produced such a great vintage. The flavors of the wine were excellent! Eugene’s wine journey began in college at Stanford, which of course is close to the Napa and Sonoma regions. However, after Stanford he went on to get a Master in Fine Arts degree. It wasn’t until later that Eugene became a Master of Wine and received a special award for his performance on the test. Well done! Eugene lists his interests as fine art, orienteering, and Master of Wine, not necessarily in that order. What a wonderful experience! And frankly, I was pleasantly exhausted from all of the stimulating discussions and tasting. I didn’t count the number of wines I tried, but I already have my calendar set for the 2020 festival in February to sample more wine and workshops.